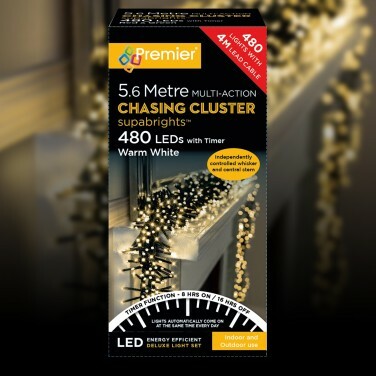 With 480 warm white LEDs packed into 5.4m of illumination, the stunning cluster effect of these LED string lights is second to none! 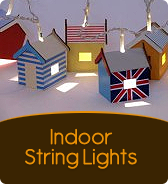 With a unique "stem and whisker" system, two separate light strings work independently of one another and are woven together to form a single light string so that they compliment one another beautifully. 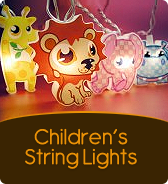 The "stem" has larger LEDs with a 6cm spacing whilst the "whisker" has slightly smaller LEDs with a 1.5cm spacing and each string has six functions including static, fade and twinkle that work independently of one another allowing you to achieve magical sparkle all from the remote control included. 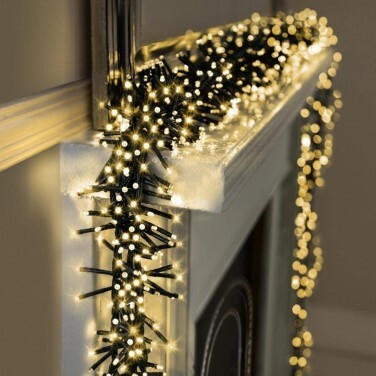 Suitable for use indoors or outdoors (with a protected socket), these enchanting fairy lights have a memory function so that they switch on at the previously set function, and a timer so that they automatically switch on at the same time every night for six hours at a time before switching off again for eighteen hours. 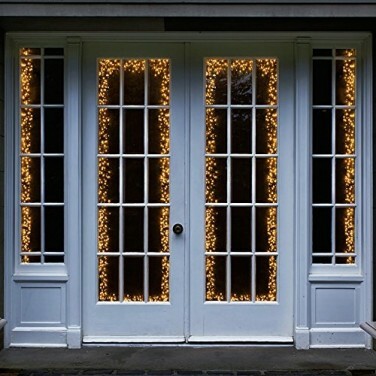 Dress your Christmas tree with oodles of sparkle with warm white LED multi function timer lights! 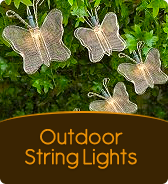 Transform your garden into a magical wonderland with stunning colour change fairy lit effects from connectable colour scroll string lights.